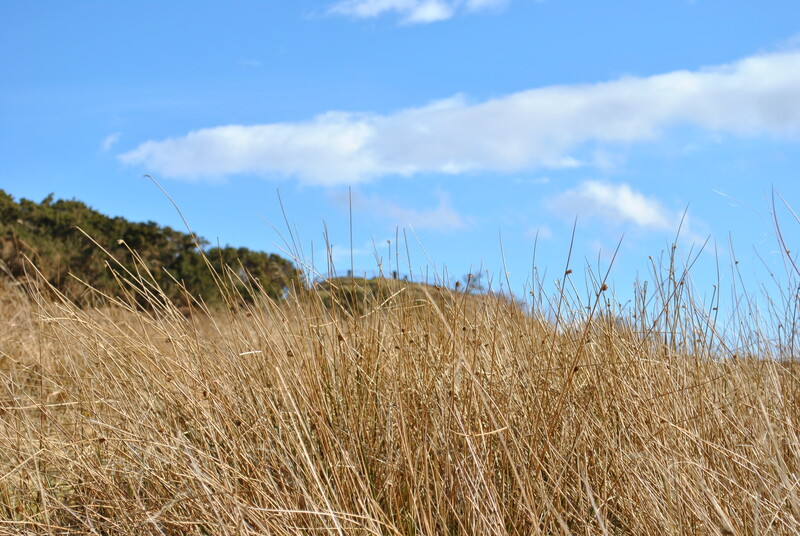 It seems appropriate to go upwards, along a narrow winding path, all the way towards the top of the hill that is known as the Hill of the Angels or Cnoc nan Aingeal, Knochan. 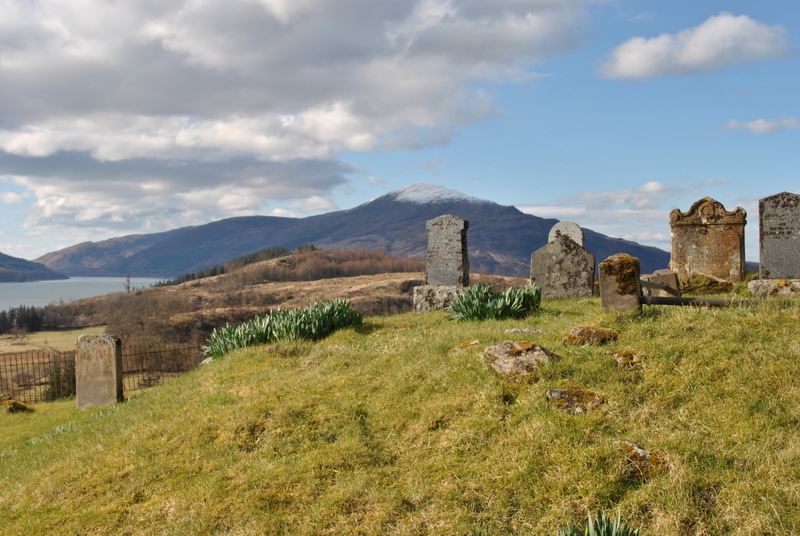 It is an old burial ground near the beautifully set parish church of Kirkton, overlooking the Sound of Sleat and the blue masses of the Skye mountains in the distance. For a burial ground, it seems a very unlikely place being a small and rocky hilltop. But settlement was scarce in those days and the location had a certain charm to it. There had been a prehistoric kind of fortification on this knoll. Cnoc nan Aingeal, the Hill of the Angels – the name sugests two things: A resting place for the remains of angelic humans or a grave close to heaven and therefore close to the angels. The latter is more likely of course. But it could also be a simple quote. St Columba had prayed with the Angels on Iona, the little knoll where he had done so was then named Cnoc nan Aingel. Maybe the people of Lochalsh just wanted a place equally holy and communicative when they named the knoll, maybe it was a tribute to St Columba’s experience with angels. But maybe not and there had been angels here as well. Who can claim to know? 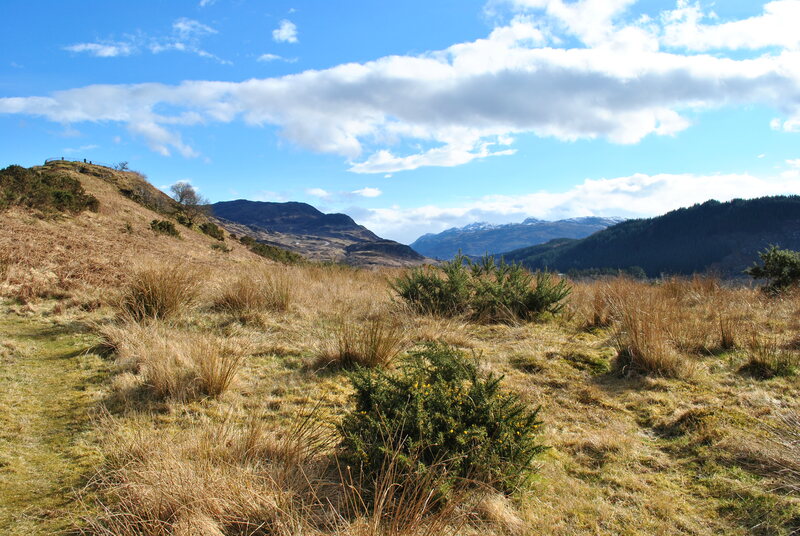 Hillgraves are not the most common form of graveyards in Scotland. As much as it makes sense, to bury the beloved close to the bereaved and close to heaven at the same time, it must have been hard work to carry the coffins up there and to dig into the hard, stony ground. For the elderly or the infirm it must have been virtually impossible to visit, access being as strenuous as it is. And a hillgrave can be much worse than just uncomfortable. It can cause health problems as water runs downhill and therefore a hillgrave might pollute the drinking water. A well known fact among lovers of the Victorian novel: Haworth, where the family Brontë dwelled and died, also had a burial ground up the hill, right within sight of the Brontës and the drinking water of the village had indeed caused concern. Knochan has no literary stories to tell. It is very much a small, local and shallow burial ground that is not used any longer. Though certainly a special one, since the big graveyard of Kirkton is not even a mile down the hill of the angels. Makes you wonder who those people were, that were buried up here. They must have been special. Is there a chapel near the hill? If so are there any pictures? Thank you. Hi Derek, there is no chapel on the hill but at the bottom (about five minutes walk) is the church of Kirkton, I will try and find some pictures for you . I went through all my photos but could not find any of Kirkton. I was sure I had some. Will go there again in the near future and post them on my blog afterwards. Is there a record of who is buried in that cemetery? I do have family from that area and was wondering if any might be buried there. It is a beautiful spot! I am sure there is. Try the local council, they might be able to help or the parish I think in that case it would be Kirkton. I have never tried to access burial records myself, so I’m not the best person to give advice unfortunately. You could also try the website Find a grave.